What Are The Key Advantages Of High-Availability VPS? 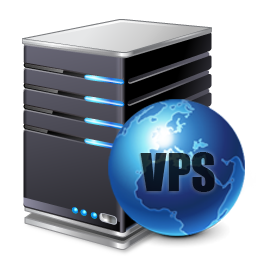 For a number of years, Virtual Private Server (VPS) Hosting has been a sweet spot between the affordability of Shared Hosting and the operational power of a Dedicated Server. The introduction of cloud infrastructures has taken that concept, and extended it even further. We recently introduced some new features to our VPS Hosting plans that essentially give you a number of the benefits of cloud hosting, without any increase in cost. Here’s a look at some of the new cloud-inspired features we have added to make our Virtual Private Server Hosting more powerful than it has even been. Our new and improved infrastructure is setup with a network of clusters in a virtualized environment, each of which contains a number of different highly available servers. These clusters all contain redundant hardware, so if your node fails for any reason, all of your data and files will be safeguarded, and your partition will spin up instantaneously on a different node. 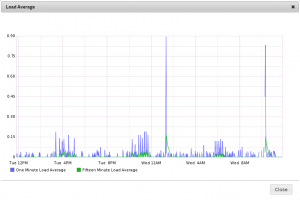 Essentially, the new high-availability provides your partition with real-time redundancy. For more information on new controls and resource dashboard click here. Many businesses today find their recovery and backup processes strained as data growth in the enterprise Information Technology environment continues to speed up at exponential rates. Backup performance is crippled by the needs of online and up-to-date business applications. Our new snapshots feature allows you to make a copy of data at the point in time of initiating that copy in order to back it up without impacting or interrupting systems, as a traditional VPS backup does. In short, our high-availability service offers you the ability to restore your data to a specific point in time, whenever needed. - Say, for instance, you upgrade to the latest version of WordPress and your site fails to function correctly afterward. You can easily revert back to the working version of your site within minutes by reverting back to a snapshot made prior to the update. - If your site gets hacked or malicious code is injected into your CMS, you can revert to a snapshot made on a regular basis and then patch up the holes. - If you are a developer in a staging environment and are about to roll out some new code, we recommend creating a snapshot, rolling out the code and reverting easily back to a stable version if the implementation causes other bugs around the site. These are just some of the scenarios you may face where the new snapshot feature may come in handy on a self-serve basis.